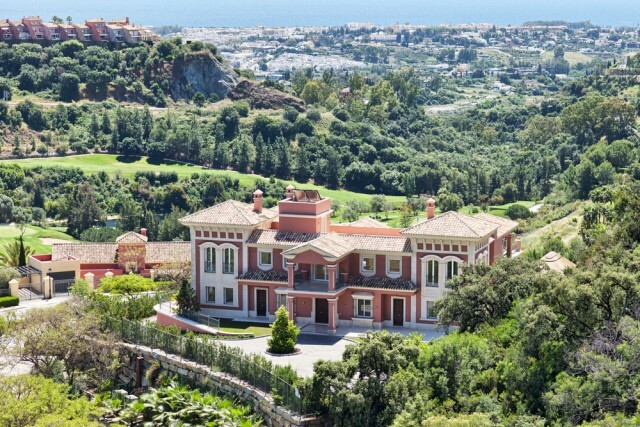 Spectacular, spacious top quality 9 bedroom villa/estate with panoramic views to the coast and the Mediterranean. Build to the highest standards and ready to move in. South facing. A driveway leads up to the house and entrance. Main floor: Entrance hallway, living area with fireplace, tv room, separate dining room, fully fitted Siematic kitchen, 3 guest bedrooms en suite, guest toilet. Direct access to the patio, terrace and the outside pool. First floor: Master bedroom suite with salon and fireplace and dressing area. Two guest bedrooms suite. Lower floor (garden level): Two guest bedrooms en suite, fully fitted staff apartment, laundry area and second kitchen, cinema, games room, fitness area and spa with indoor pool, sauna and steam room, garage for 5 to 6 cars, storage. 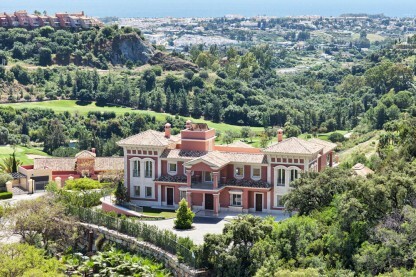 Features: High ceilings, Siematic kitchen with Neff appliances, elevator to all floors, A/C with heating and under floor heating (Daikin VRV4), pool with salt water, tennis court.